Erreà Iceland is a winter jacket which can withstand the cold. This padded jacket is perfect for your free time and as team uniform: it provides protection in a comfortable and stylish way. 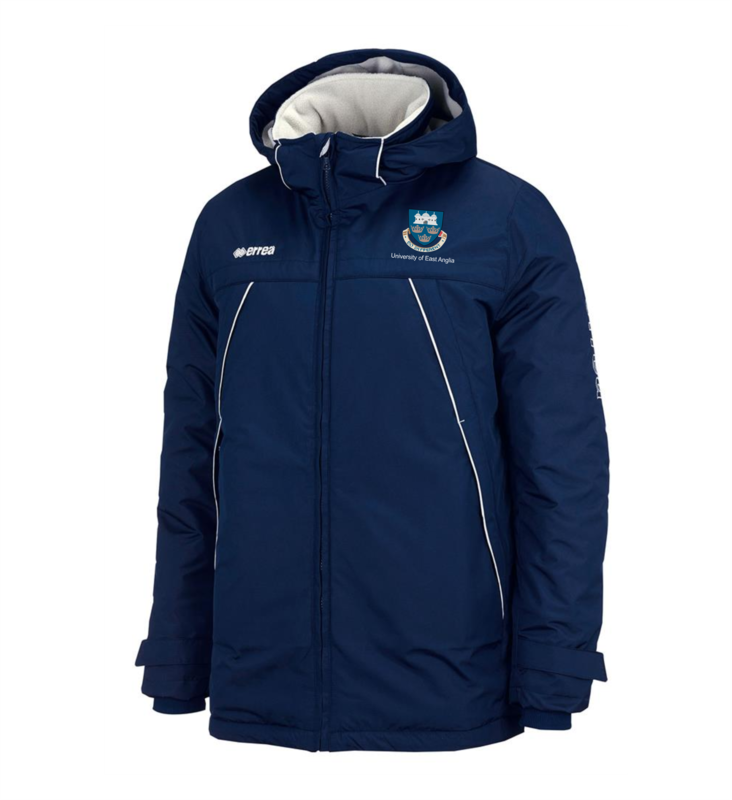 Iceland is a unisex jacket designed for those who play sport, made of warm, technical and breathable materials. Thanks to Hydro-Stop technology, the jacket protects you from the wind and rain, even under the toughest conditions. The full-zip closure and elasticated cuffs offer a flawless and customised fit, while the removable hood (which can be stored in a pocket on the collar) protects your head when you need it. For all-round protection we have added 4 pockets on the front of the jacket: two of them protect your hands from the cold, while the other two have zips, making them ideal to keep your most important things safe.